Simply building a Facebook page and populating it with a header image and basic information isn't enough. You need to attract an audience. Even the most novice Facebook fan or business page owner can increase the number of likes to their page with a bit of effort and a plan. First of all, give your page a good look-over before you start your social media marketing plan in earnest. Does your cover photo showcase your brand professionally? If not, it's worth the time and money to hire a professional graphic designer to create something for you that really catches people's eyes. Review all of your information in your page settings. Have you entered as much applicable information as possible, such as your website URL, URLs for other social media accounts, a well-written description of your business or cause, and all of your contact information? Do you have your page listed with the correct categories? Often these are items that are overlooked but are important for Facebook targeting, which can bring more interested people to your page. Take a look at some competitor pages, as well as pages that are similar in nature. If they have information listed on their page that you do not, consider adding this in to increase the quality of your content. A common mistake, particularly with small businesses and organizations that don't have a dedicated person working on the page, is not posting compelling content on a regular basis. Facebook's algorithm uses a complicated process to determine what will show up on a person's News Feed and what will not. The more engagement that a post receives, the more likely it will rank higher with the algorithm based on an individual person's interests. The take-away is, if you put up your page and then wait for people to come, or maybe post sporadically with no real direction or strategy, then "likes" are not going to pour in. There is no set number of times you should post each week, but a good way to get started, especially if you're brand new to social media, would be three times a week. You can continue to assess performance and your ability to create content over time and increase this as you find necessary. You can also use the free tools that Facebook provides to see what content resonates with your audience to help you refine your content plan over time. It's also a good idea to post at times of the day most likely to reach your audience. You can use the free Facebook Insights tools to help you determine this. You may find in the beginning that you'll have to experiment if Insights doesn't have enough page data to provide optimal time information. One of the great things about the Internet is the ease with which you can find information. An easy way to find quality content is posting links on your page that are relevant to your audience. There are many ways to have this content curated for you and delivered on a daily or weekly basis. Some of these include Google Alerts; content services like Scoop.It, Feedly, and Curata; and website subscriptions and newsletters. Say your Facebook page is for a pet sitting business. You know that your audience will find animal topics interesting. You can set up multiple Google Alerts for topics such as "dog care," and "pet first aid." 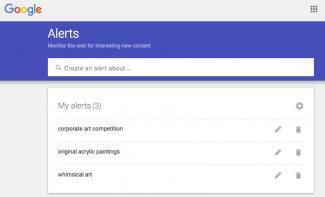 Use the same types of keywords on a content curation site. Subscribe to newsletters, like those of the ASPCA, and use services like Hootsuite to monitor relevant hashtags on Twitter. If you set up a calendar and have curation options work for you, a lot of great content options will show up in your email inbox every week! Original content, such as blog posts, short videos and photographs, are an excellent way to bring people to like your page. Of course, you need to be able to prepare content that's professional. If you don't feel like you are able to do this, depending on your budget, it may be worthwhile to hire professional writers and artists to create this content for you. In the case of a non-profit, query your supporters to find possible in-kind donors. Another type of original content that brings interest to your page is data. If your business conducts surveys or research, post some of your results to your page. A carpet cleaning company that keeps data on cleaning jobs could post their top five types of service calls and how they deal with them. Photos and videos tend to be shared more than any other content on social media. For example, infographics are shared three times more than other types of content and Facebook posts with images have 2.3 times higher levels of engagement than text-only posts. Even if you're not a graphic artist, you can make compelling images and infographics using services like Infogr.am and Canva. You have a plan in place to produce content for your page. Now you need to get people to see it! There are a number of different strategies you can use, in combination, to acquire more visitors and more "likes" for your site. Is there a link to your Facebook page on your website? Ideally, it should be in multiple locations, like in the header and footer, as well as on your About Us and Contact pages. You can even insert a widget with your Facebook page feed on your website. Is the link on your business cards and printed marketing materials? How about in your email signature line? Basically any place where you list contact information for your company, you should include a link to your Facebook page. Make an email list of everyone you know that is in any way connected with your business or organization. This can be staff, donors, vendors, members, media outlets and more. Prepare a simple email blast that introduces your Facebook page to this list of people who are very likely to be future fans. Another option is to send invitations through Facebook itself using the "Suggest Page" feature. When you are logged into your page, under the cover image you will see three icons: Liked, Following and More. If you click on the arrow by the More icon, "Suggest Page" is one of the options you can use that will let you upload a list of your email contacts either from a mail program like Gmail, or specialty mailing programs like MailChimp and Constant Contact. For contacts that you know already have a Facebook account, you can use the Invite Friends option in that same drop down menu to send invites, although this only works for accounts that are already Facebook "friends" of yours. 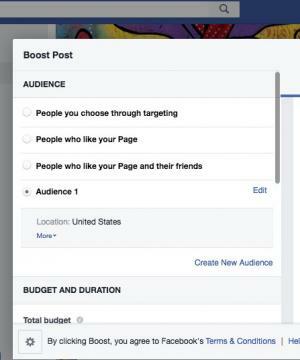 This paid option from Facebook allows you to "boost" your post to a larger audience of people who fit a certain demographic and interest profile. The fees vary by the size and type of audience you want to boost, but you can experiment with post boosts to determine the overall return on investment. To boost a post, just click on the Boost Post button underneath a post on your page and you will be guided through the steps of how to choose who you want to target. One popular way of creating engagement and traffic to a Facebook page is through the use of contests. Contests need to adhere to Facebook's promotion guidelines. Contests can be quite simple, like asking people to like your page. Other easy contests are photo and video upload contests. The downside to contests is if you don't have much activity on your page to begin with, or the contest theme is not compelling, you may not get the level of engagement you are hoping for. Make a list of all the businesses and organizations that would be interested in your page. This can include vendors who work with you, the companies of major donors, and so on. Make sure that you like these pages and visit ones that regularly have engaging comment sections. Post responses in their comment section and when you do this, change your settings so that you are posting "as your page" rather than as your personal account. Positive, well-written comments will be viewed upon well by the page owners and visitors to that page will see your page name and are likely to click on it to visit your page. You can do the same with industry Facebook groups, which often can be much more active than company pages. Likewise, when you make posts on your page that involve other pages, "tag" them so they will be notified that you have referenced them in a post. Again, this builds good will with other organizations and it also gets your page name in front of that page's audience. Another option is to discuss an active partnership with other pages where you all agree to share and post each other's posts to raise all of your pages' likes. 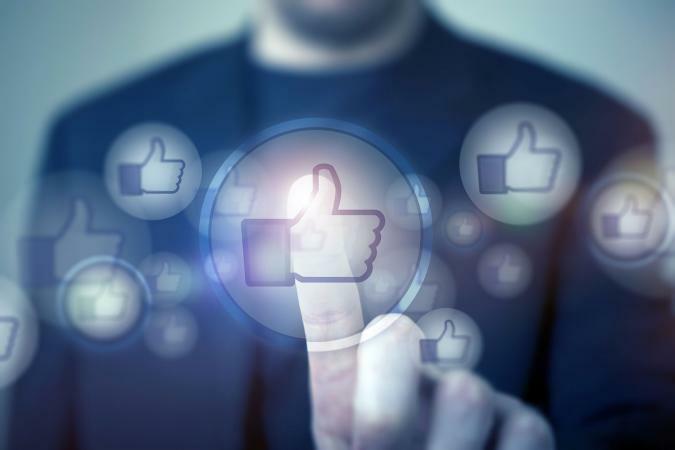 Once you get a handle on trying some of these techniques, make a habit of regularly reviewing your Facebook Insights data to see what resonates with your desired audience. Then, be creative! Facebook has many fantastic user groups for social media marketers, from beginners to experts, so don't be shy about joining some and asking questions and sharing experiences. It's a terrific way to keep gathering ideas from your fellow Facebook page administrators on building your own social media influence.